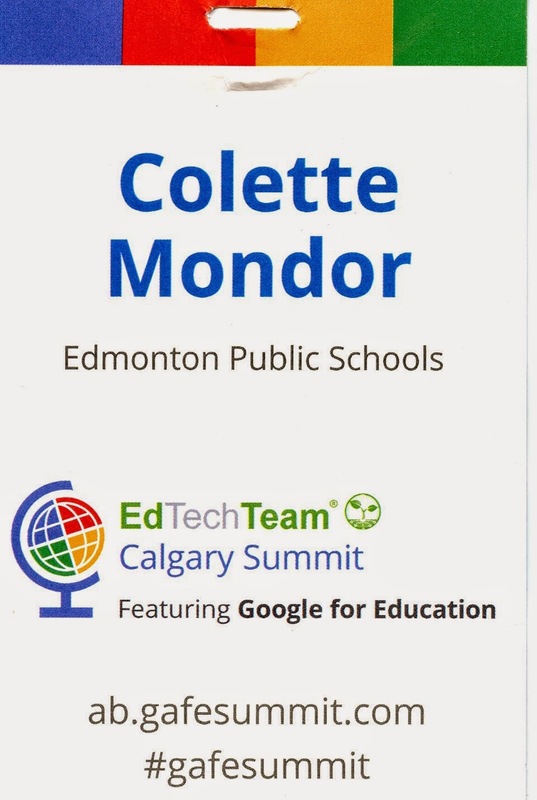 This summer I went to the first annual EdTechTeam Calgary Summit featuring Google for Education. This was my third "GAFE Summit". My primary reason for going to such an intense event during my summer HOLIDAYS was to get more experience with presenting. However, I also went because my previous two experiences were energizing and motivating. As I presented three times, I missed out on attending a number of great sessions. However, I still came away with a number of ideas and contacts. I hope to share some of the ideas/links that I found inspiring and interesting. If you want to delve deeper than what my blog post provides, you can check out the Collaborative Notes from the Summit. Going to GAFE Summits are great because they include educators from a vast majority of backgrounds and teaching positions. 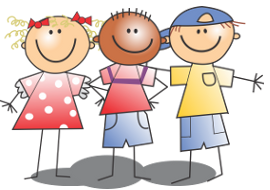 In this blog post, I will be sharing what I think may be useful for division one teachers. I stole this title almost straight from Michelle Armstrong who did a session on apps, extensions and add-ons. However, I will be sharing ideas from a variety of sessions. Apps and extensions are mini-programs that enhance the Chrome browser. Add-ons are usually former scripts that enhance Google Document or Google Sheets. You access all of them from the Chrome Web Store. Note, there are two add-on stores: a Docs Add-On store and a Sheets Add-On store. Like all things on the Internet, not all apps/extensions should be trusted. Check out the ratings and reviews. Also, it should be noted that having too many extensions running, doing so can slow down your browser. You can still have them installed but turned off until needed (see below for an extension to help with that). Awesome Screenshot - allows you to edit, annotate, and share images. What I liked is that you could blur out part of an image. Speak It and Announcify - read websites out loud. Extension Manager/Switcher - allows you to easily turn on and off your extensions. Adblock and Adblocker Plus - Block advertisements. How are they different? One forum I read said that Adblock is developed originally for Chrome, and Adblock Plus comes from Firefox. One Tab - When you have a number of tabs open, OneTab will convert all of your tabs into a list. Screencastify - video screen capture software. Read and Write For Google - Free for teachers! In the premium version, it has a variety of for reading and writing supports. In the free version, students can have text read to them in Google Document. Boomerang for Gmail - remember MS Outlook's delayed send option? This replaces it for Gmail, basically it schedules messages to be sent at a later time. Want more extension ideas? Check out the blog post Great Classroom Specific Chrome Extension by Holly Clark (who is a regular GAFE Summit presenter). Doctopus (for Sheets)- a super easy way to share documents from your drive with others. Google Classroom looks like it will do the same. Flubaroo (for Sheets) - a grading add-on. Kahoot - Online quizzes, make computers and mobile devices into smart responses. Flippity - makes flash cards from a Google Sheet. Google Doc Story Builder - user created videos that the viewer will think are being created in Google Document. Easiest just to watch an example. Google Cultural Institute - three sites in one; navigation similar for all of them (intensive on your bandwidth). World Wonders - time lapse street view! If you have the new Google Drive, change your drive to grid view and colour code your folders. If you associate one colour for each class / subject / theme and use then use that colour scheme across all your google apps. Edit (or completely remove) your bookmarks’ names so they are only icons, giving you more bookmark toolbar space.